Sometimes the people I know find their way into my stories. I usually will honor a friend by naming a character after them but that character never looks or acts anything like the person they are named after. Such was the case for a friend who works with me at my day job. He has always been one of my best fans and has read many of my books. When I was writing Devon’s Blade I decided to honor him by creating a character named after him. That character was called Hank in the novel. For those of you who haven not read the novel, Hank dies in the end. But my friend always insisted that his death was never confirmed and that Hank lived! This week is my friend’s last week with my work group. He’s moving on to bigger and better things and we’re all going to miss him around the office. To honor him, I wrote him a short story about Hank and what happened after Devon’s Blade finished. I hope you enjoy it as much as my friend did. Maybe someday I’ll include it in a new version of the ebook. But for now, you can read it right here, on the blog. Writing my novels on Ubuntu Linux has never been this easy or this well organized. Plume Creator is a writer’s IDE or Integrated Developer Environment. Just substitute Developer with Writer and you have an IWE. It lets you outline, organize and write your scenes and chapters however you like and then allows you to export them to ODT, an open document format that LibreOffice will accept and transform into Word or RTF format so you can more easily send your manuscript to editors and proof readers. I use Plume for story creation and when I have my first draft nailed down as far as structure goes, I export it to Write and carry on with editing. There is no built in spell check or editing features in Plume Creator as of this version. So you can’t really take your manuscript beyond the first draft. However, getting a solid first draft written is so much easier in Plume than in Write. When I have a completed, edited, proofed version of the manuscript I then cut and paste each chapter out of Write and into Sigil. But that’s another story for another post. Plume treats each scene in your novel as a separate file. You then combine scenes to make chapters. If you have ever seen Scrivener, you already have the knowledge to write with Plume. The two applications are very similar. But Plume has a few tools that make writing that first draft easier. And it works on Windows and Linux, two platforms that are second fiddle for Scrivener. Two useful tools for outlining your first draft in Plume are the Outliner and the Mise en scene. This is a close shot of the Mise en scene area showing the characters in the scene and the location. Clicking on the “Eye” icon anoints a Point Of View character. Here’s what it looks like when you pop up the arrow. You can click and drag your characters into the Scene area, same with the locations. This is very cool meta data to have, especially if you are writing an Epic Fantasy, Sci-Fi or a Mystery. If you click on the “Man” icon you get the Mise en scene editor, where you can add your characters and locations. Here is where you can elaborate on characters and locations. You can even add new categories. For instance, in my SF books I have lots of starships, so I keep track of which ones are in a scene using the Starships category. Here’s a wide shot of Plume in action on my Ubuntu laptop. The Notes area is useful for additional meta data, I use Blake Snyder’s shorthand symbols to show conflict and emotional arc. This is what a filled out Outline looks like in Plume. You can chose to hide any of the columns to make things less crowded. Sometimes I hide the notes in the outline view. At this point in my WIP, I have over 50K words in Plume and it still loads and plays ball like a champ. I should be finished writing this first draft in another month or two and then I can reuse the Mise en scene cast and locations for my third book which is already set up in the same Plume project. 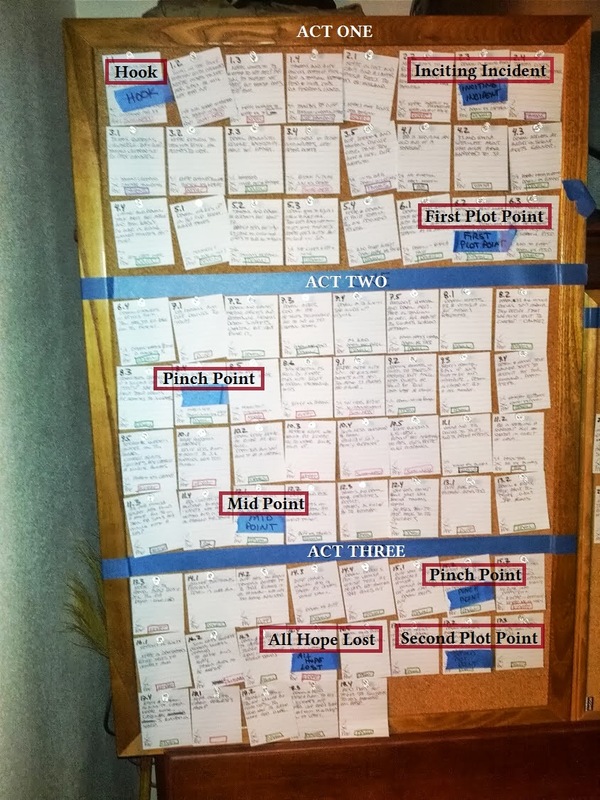 When I write a trilogy, this is just easier for me than creating a new project for each book. You read that right. 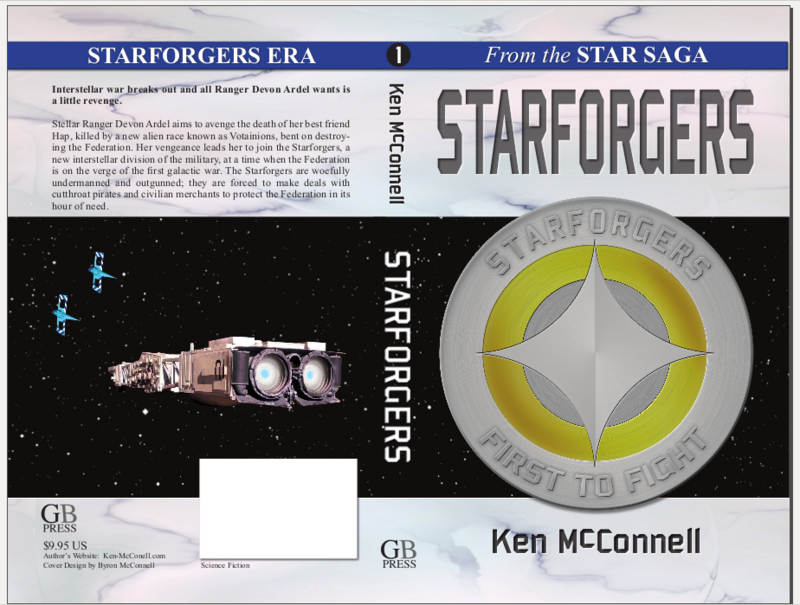 You can now get the first Star Saga ebook, Starforgers for FREE on Kobo. Free as in free beer, and you can pull it down from this website for free, as in free speech. You just won’t get it in epub format. The Free version you download from this site is in plain text. Not sure how long this will last, so you might want to download it sooner than later. PS You can also get the text of all my books here on this website. Because that’s the way I roll. PPS Anyone know how to tell if you’ve given away any ebooks on Kobo? I don’t see a column for that free downloads. Probably because nobody has taken advantage of this yet. Maybe I should try it on my Kobo app. 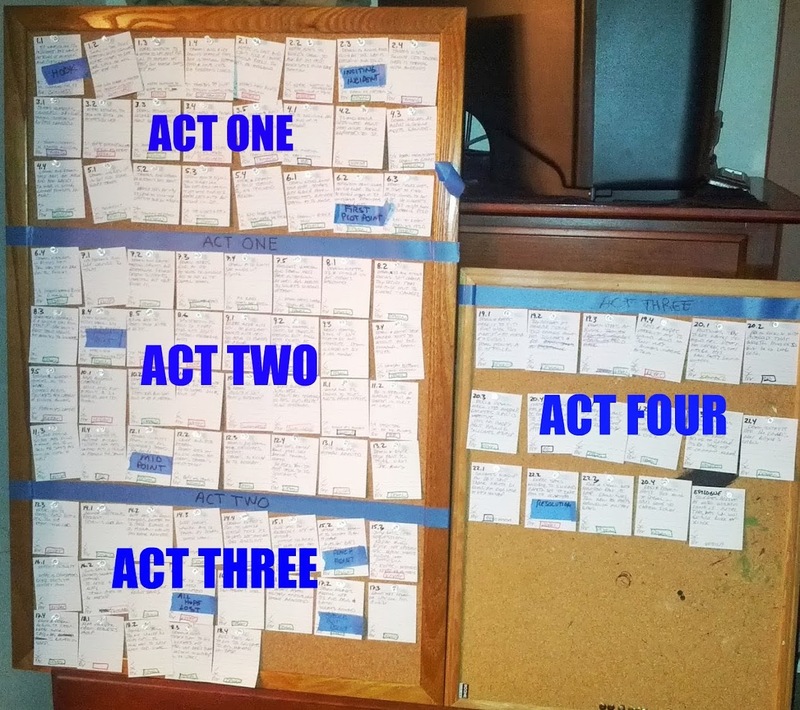 Finally got all my scenes from The Rising onto the board. Actually, they leaked over to a second board. There are about 90+ scenes total as it stands now. But that is likely to change as I move them around and add and subtract them. Here’s a view of the board with the acts clearly labeled. Some of the plot points are tentatively placed by using blue tape with black marker. Everything is capable of being changed around. 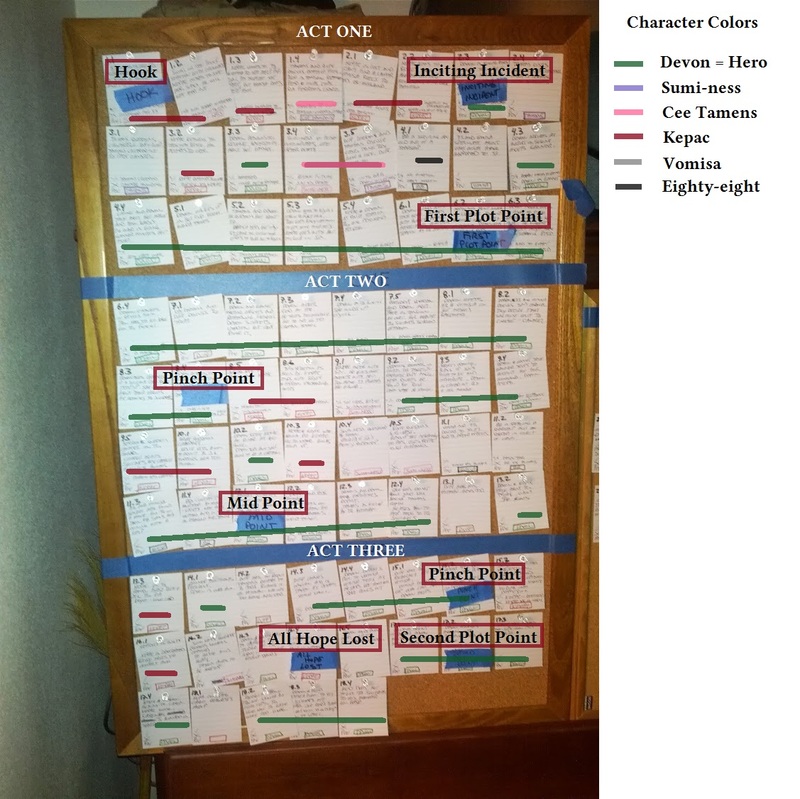 And here is the same picture with POV lines drawn in so you can see how much page time each character gets. Not all the POV lines are shown on this graphic, but you get the idea. I’ll update this as I have more time to fine tune things this weekend. I’ve decided to just press on with this first draft and get it all down first, then start moving scenes around as needed to tweak the plot structure for the second draft. When it comes to air-frame designs, nothing you thought was original, is original. Turns out the Germans did it first. 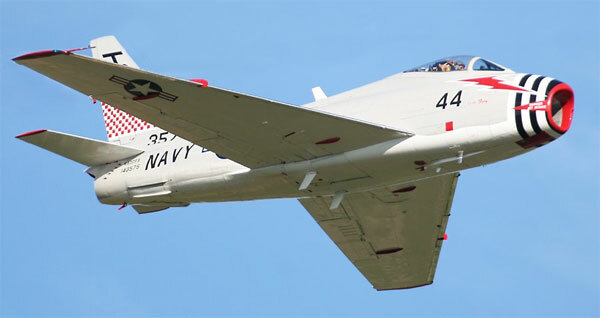 In fact just about all the advanced wings designed since the end of WWII were all first conceived by German engineers. Even imaginary ones used in Sci-Fi movies. Oh, yes. You can find many more futuristic German airplane designs at http://www.luft46.com. 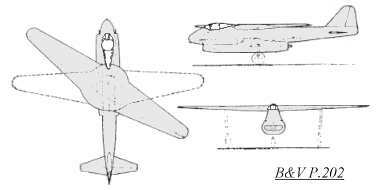 But be forewarned, everything you thought you knew about airplane design, was probably done by the Germans in the 1930’s. 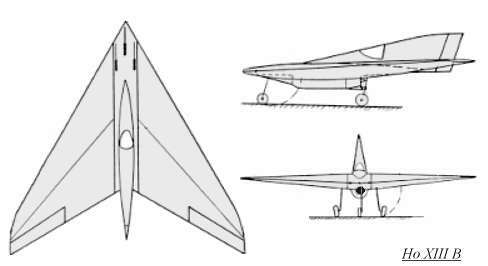 Oblique (or pivoting) winged aircraft were thought to be impossible. They were, until NASA did it. Same goes for forward swept wings. Don’t tell the Germans it’s impossible, because NASA did it. 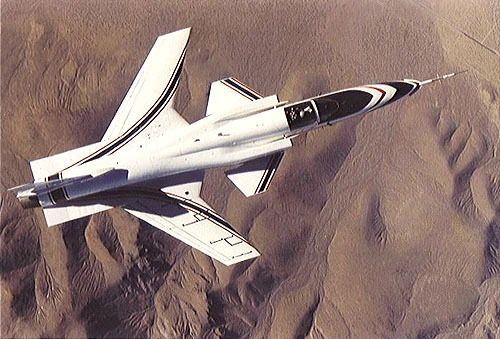 Modern swept wing, internal jet engine fighters? Not so modern. Germans designed them. 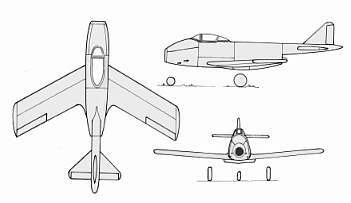 I know about the Me-262, but this design is uncanny when compared to the Fury jet fighter. 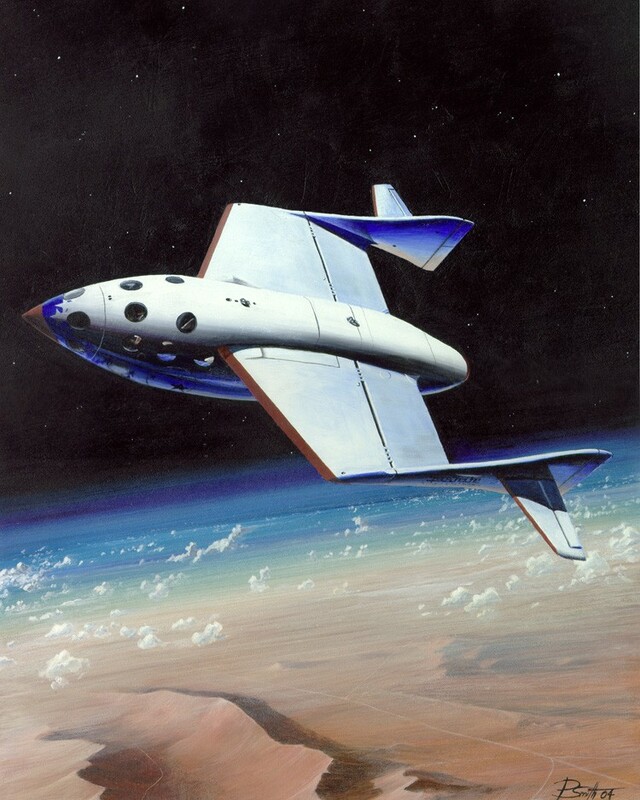 Funky wing design used by Spaceship One? Yeah, Germans had that. Not even George Lucas is immune. 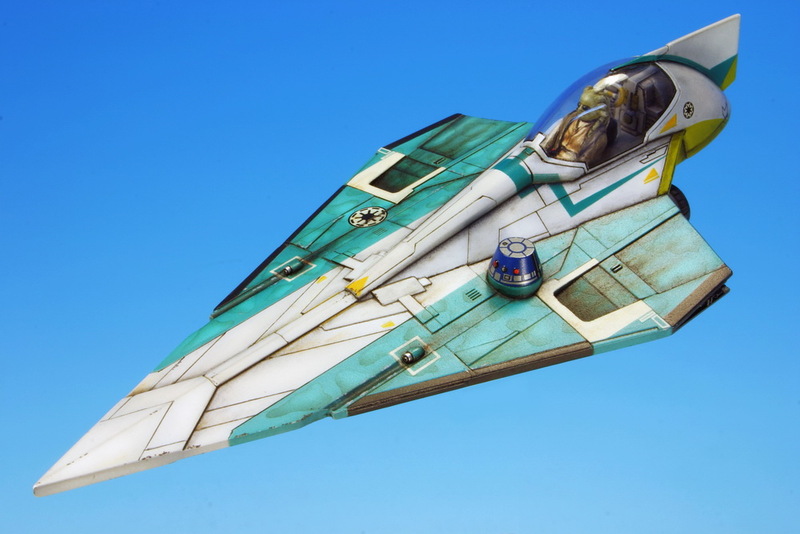 Jedi starfighter? Nope, German’s had one. I stared building a large scale version of the Votainion starfighter used in the Starforgers novels early in the year. This first post was delayed until now as I gathered the necessary images from my digital cameras. The model is being built to be featured on the cover of Starforgers Book 2, The Rising which will be released in the first quarter of 2014. 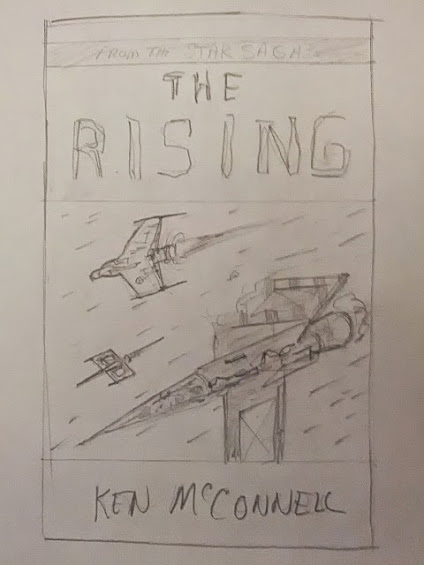 This is the thumbnail sketch of the book cover. You can see that it features a KIV-3 starfighter breaking apart in a prominent fashion. This required a larger scale model with more details added to the areas where panels had been shot away. I decided to go with a scale that was large enough to provide details and that I could find a pilot for. This is where it is sometimes useful to have kids. I rescued an old Star Wars action figure to be my Votainion pilot. 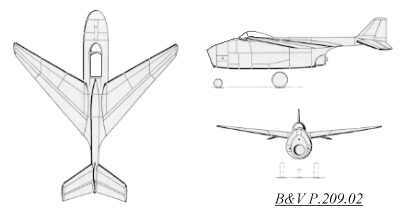 The KIV-3 is a fairly simple design and up-scaling it from 1/48 to 3″ Action Figure scale, should be easy enough. The only hard part would have been the conical nose and the conical exhaust of the main engine. The canopy would be easier if I had it blown off. Check. It would also be easier if it were battle damaged. Check. The wings would be massive at this scale, so bending one over in more damaged fashion would solve that problem. The lower wing would just be falling down strait, so that doesn’t have to be supported either. This model would not be a display model, meaning that the parts not seen in the photo, need not be built. It could be a Hollywood set that looks great from one facade only. This cuts down on the usefulness of the model for future photo shoots, but it makes this cover shoot happen faster by cutting down on build time. 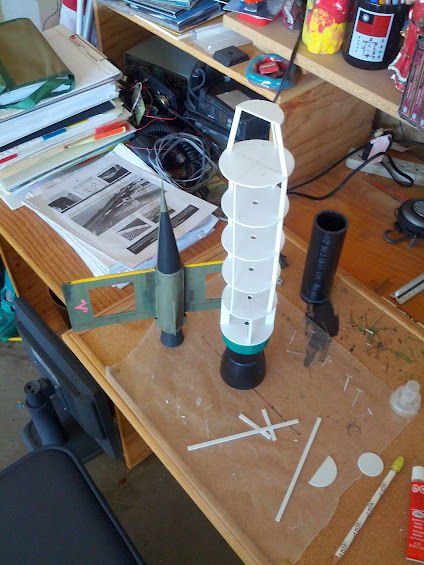 I started with the cylindrical fuselage. Building the whole model from plastic allowed me to put it together much like a wooden model airplane. Since parts of the ship would be ripped open and interior details exposed, I need the inside to look like the imagined real starfighter would look. Think about all those Star Wars books with the interior of X-wings detailed. That’s what I had to create. I used several round bulk heads and strung them together just like a model airplane. I even used wax paper to pin the pieces down as they were glued. This was a first for me in plastic. I’ve built dozens of balsa wood models this way but never a plastic starship. The bulkheads were scavenged from an abandoned attempt at making engines for another starship model. Never throw anything away. The engine exhaust was made from various plastic lids from orange juice to paint cans. Here’s a shot of the engine parts being glued together. The inner white piece is the core of a Scotch tape dispenser. This shot shows all the main pieces setting on top of each other along with a 1/48 scale model of the same ship built from cardboard. This image shows the cockpit being built up using C-3PO as a stand in for my pilot. The seat is raked back pretty far in this fighter and the pilot almost lays down in it. The headrest is a plastic cap from a VGA plug! Here is a close up of the details added to the bulkhead right behind the pilot. Not sure how much of this will be seen in the final picture, but the more detail the better. Well, that’s all for this first installment. Next up we paint some of this detail primer gray and start building the wings. 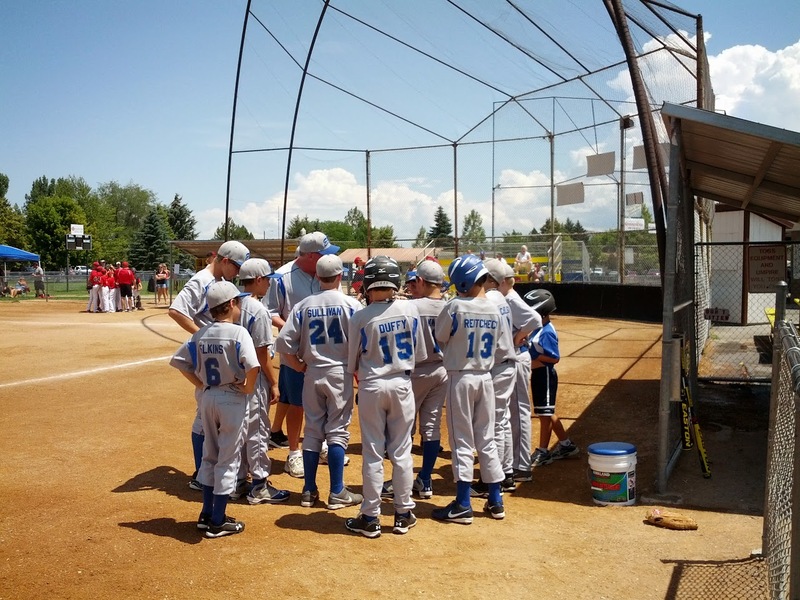 This weekend we’ve not been watching youth baseball. Although I have watched pro ball. Heck, I even watched some Canadian Football League, which only got me itching for American football. The one thing I have managed to do is write on the WIP. At this time the word count is sitting around 42K. I need to keep writing during my lunch breaks to maintain the glide path I’m on now. Which is roughly 800 to 1000 words a day. Tuesday I’ll be at Rediscovered Books for the Craig Johnson book signing. Hopefully I’ll see you there! The temperatures here in Western Idaho have been in the triple digits this week. Which makes going outside unpleasant for me. The upside is that being inside lets me sneak in some more writing and reading. Above is the final sticker that I needed to remove from my Dell laptop. It was hidden under the metal cover on the bottom and so had eluded my attention for over a year now. It was the Windows license key that came with the computer. Since I never even booted into Windows, I’ll never need it. Speaking of Microsoft, what happened to their stock price last week? Glad I don’t own any. 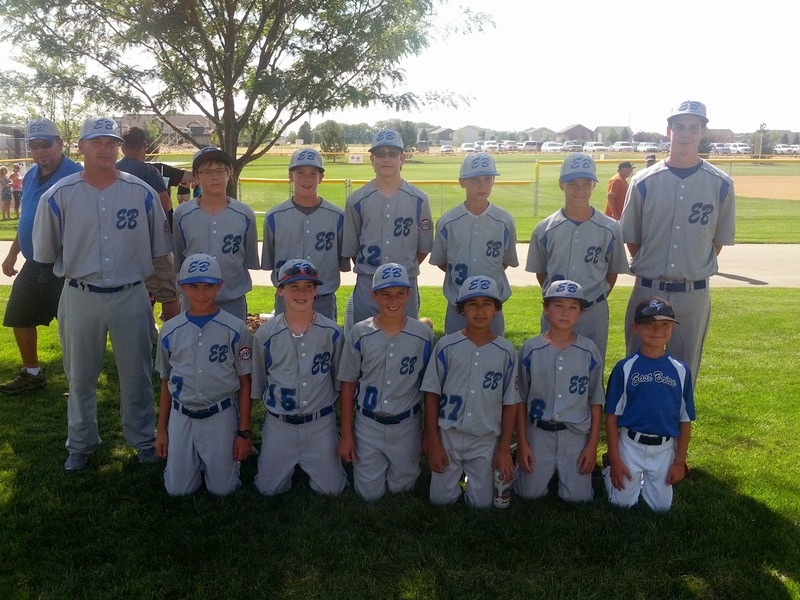 East Boise Wolves at the State Championship Tournament, Meridian, Idaho. Teams lining up for pictures. 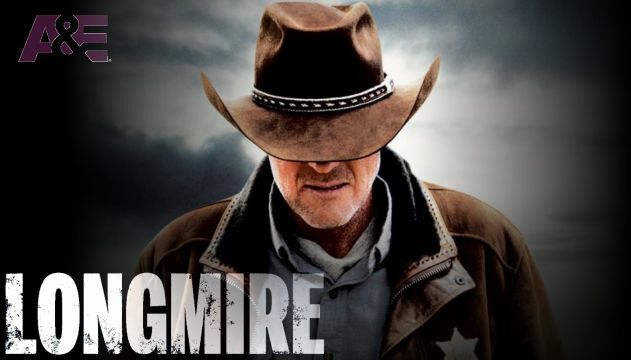 One of my absolute favorite TV shows these days is Longmire. I love the gritty, Western feel of this present day crime drama. But I didn’t realize it was based on a mystery novel series. Fortunately for those living in Boise, the author is coming to Rediscovered Books this month for a signing. 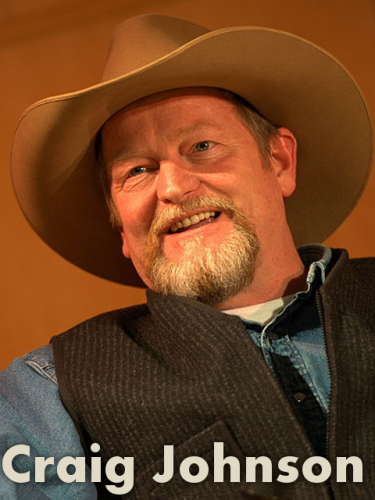 Craig Johnson, author of the Walt Longmire series will be at the downtown Boise bookstore this July 23rd. You can bet I’ll be there. And yes, the first Longmire book, The Cold Dish, is next up in my ebook reader. Good times at the Pocatello Classic last weekend. The East Boise Wolves made it to the semi-finals. 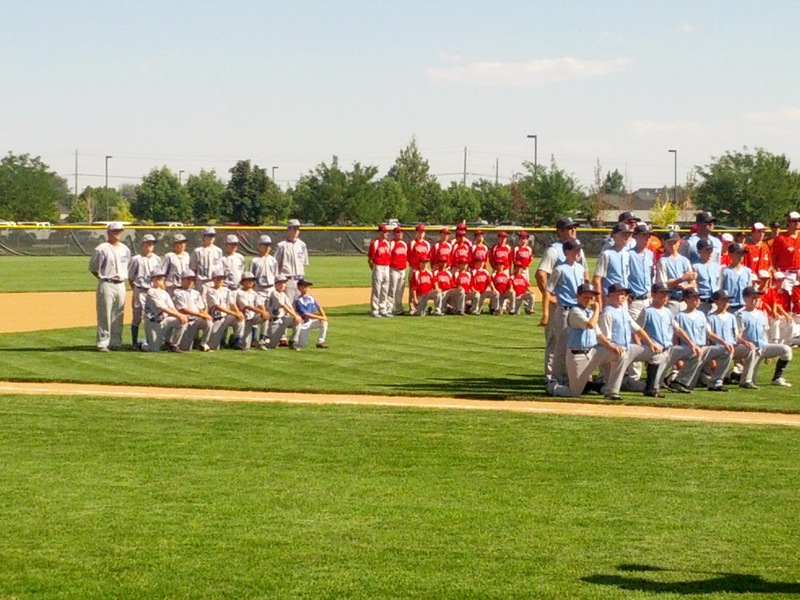 The kids played hard and had a great time in Eastern Idaho. Even got to see a movie (Monsters University) in between games on Friday. Here’s the team huddled for a pre-game talk by the coaches. Jack at bat on the Yellow stadium at Chubbuck Field. Our kids won two games against teams that used fatter bats and wore metal cleats. Pretty good ball players all around. This week they are in Meridian for the State Tournament. Very exciting!